"We did it," proclaimed Tesla's Elon Musk in an email to employees regarding Model 3 production. Though actually a fair bit less than what Tesla had hoped to be doing by now, nearly a year after its first mainstream electric vehicle went into production, it nonetheless marks a significant milestone and a sign that the company is finally working its way out of what Musk had described as “production hell” at its Fremont, California assembly plant. “We either found a way or, by will and inventiveness, created entirely new solutions that were thought impossible,” the South African-born executive said in an e-mail sent just days after he spent his 47th birthday at the Tesla plant overseeing efforts to speed up production. Among the steps Tesla took to get to its goal, the company set up a massive tent alongside the existing Fremont plant to provide shelter for a fourth assembly line. Technically, it appears Tesla actually may have missed its goal by a matter of hours, the 5,000th vehicle actually not rolling down the line until early on Sunday morning, hours into the second half of 2018. 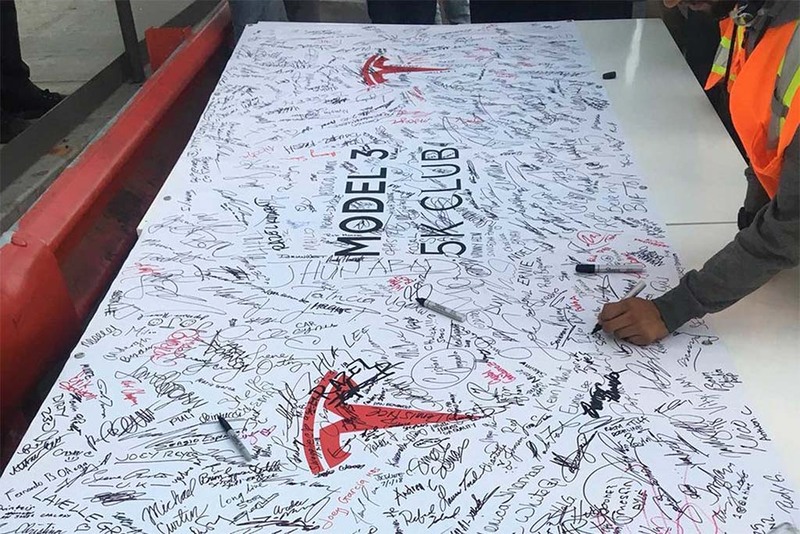 Workers still let out a cheer when the milestone Model 3 was completed. 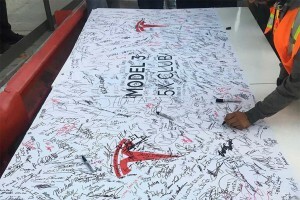 A poster bearing the words, “Model 3 5K Club” was later signed by the employees working that morning. The announcement came as something of a surprise considering that just days before the end of the month – Tesla’s self-defined deadline for hitting the 5,000 vehicle target – reports indicated it was falling short. The Reuters news service quoted three Tesla employees who observed factory reporting systems that showed Tesla might miss its goal by hundreds, perhaps even more than 1,000 vehicles. Tesla claims it hit its goal of producing 5,000 Model 3 sedans in one week last week. Getting up to 5,000 vehicles a week was more than just about “quieting naysayers,” however. Tesla has faced serious financial problems during the past year, the company reporting record losses for the first quarter of the year. It ended March producing barely 2,000 Model 3 sedans a week, a shortfall of 20% from even its revised target. That led a number of analysts and investors to worry that the carmaker would have to go back to the financial markets to raise more capital. Musk denied that would be necessary, a big bump in production set to help boost revenues. 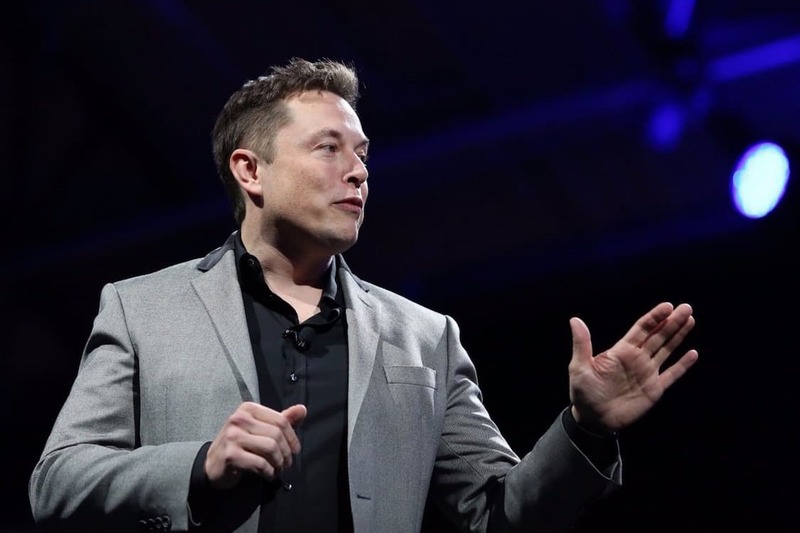 He has promised Tesla will both be in the black and generate positive cashflow for the second half of this year. The Fremont factory actually produced about 7,000 vehicles last week, including the older Models S and X. Meanwhile, Musk is now pushing to bring Model 3 output up to 6,000 weekly by sometime in the coming month. Not everyone is convinced Tesla really pulled off the miracle it needed. Some online observers are questioning whether it can consistently meet even the 5,000 target. And, perhaps more importantly, analyst Dave Sullivan, of AutoPacific Inc., cautioned that high volumes don’t matter if Tesla sacrifices quality in the process. Tesla employees have been working 24/7 to meet the 5,000-vehicle production mark. That’s the sort of strategy that ran Detroit automakers General Motors, Ford and Chrysler into serious trouble back in the 1960s and ‘70s as they pressed to build sales at the cost of quality control. Eventually, that led many once-loyal owners to switch to Japanese and European brands with higher quality standards. With early, high-line products like the trouble-plagued Model X SUV, Sullivan told TheDetroitBureau.com, Tesla owners have been willing to accept quality glitches because they typically have other vehicles they can rely on when their Teslas are in the shop. For Model 3 owners, the compact electric sedan is more likely to be the only vehicle they own, meaning a service call would be a serious inconvenience. There have been a number of online posts about Tesla Model 3 quality issues but few clear indicators of how well the vehicles are being put together so far. The California carmaker has opted not to participate with J.D. Power and Associates, one of the most widely quoted sources for vehicle quality studies. Tesla’s other products have experienced mixed results in the annual owner surveys conducted by Consumer Reports magazine. While the non-profit publication’s most recent report indicated big improvements in Model S quality, it ranked the Model X dead last among all vehicles currently on the market. CR could provide a window on Model 3 quality when it issues its 2018 data later this year. While they aren’t set to discuss quality, Musk and other Tesla officials are expected to issue a formal production report later this week. They will go further into Tesla’s finances and future plans during an earnings call in August. This entry was posted on Monday, July 2nd, 2018 at and is filed under Automakers, Automobiles, Business, EVs, Electrified Vehicles, Executives, Financials, Investors, Markets, Personalities, Technology, Tesla, U.S./North America. You can follow any responses to this entry through the RSS 2.0 feed. Both comments and pings are currently closed. Will these be “tent-sale” vehicles, made in the good ‘ol U.S.. of Tent? I would not want ANY of these vehicles, tent or no tent. He will crash and burn (no pun intended) as he seems to want bragging rights / I told you so instead of actually building a quality vehicle at a quality pace. BTW: Whatever happened to the Martin Tripp investigation?